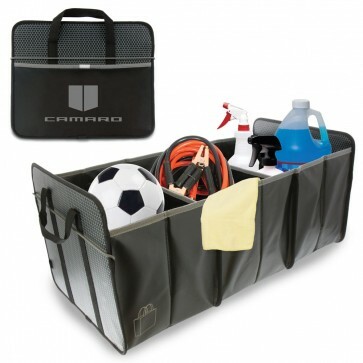 Sturdy laminated organizer with three large compartments to store gear and designed to fit full-size grocery totes. 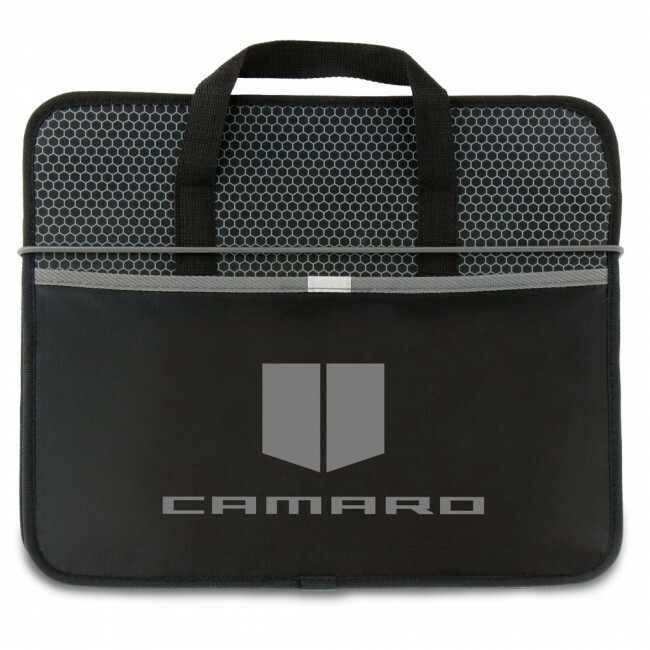 Grab handle and front slash pockets, collapsible with elastic bungee to secure when not in use. Honeycomb graphic on interior and exterior. Camaro Hood Stripes and signature printed on one end. 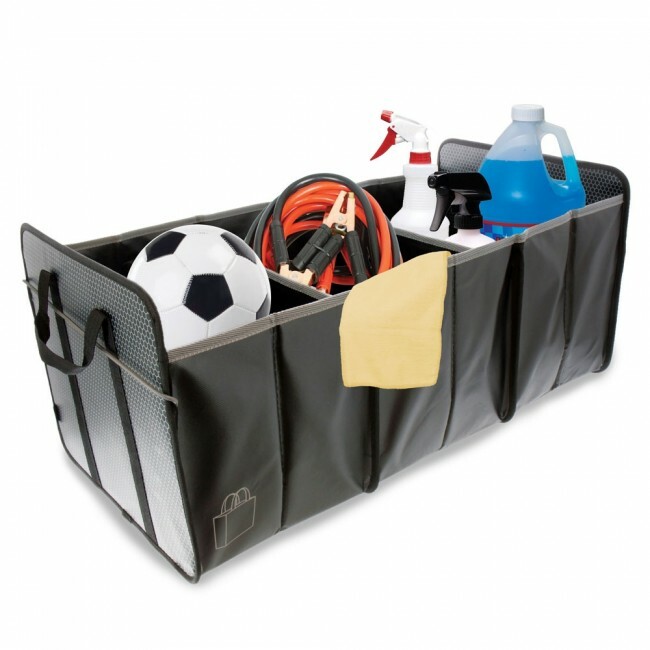 Collapsible for easy storage. 14"L x 12"H x 27"W.